Converting “Shoppers” into “Buyers” …. Here’s how! 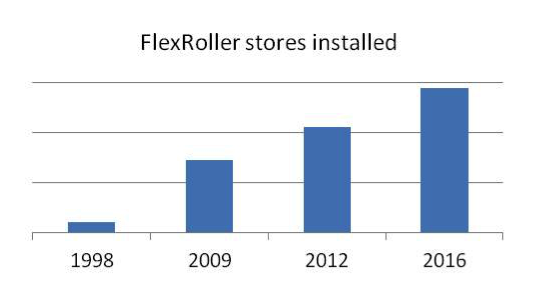 FlexRoller Conquers the World of Retail! FlexRoller helps automate store shelves! FlexRoller connects the digital shopping experience and the store! Don’t forget the Cold Vault when thinking about new technology! FlexRoller supports Cold Vault Beverage Trends! FlexRoller drives C-store Expansion in Central America! FlexRoller supports new products in the COLD VAULT! Shoppers prefer a clean, safe and well organized store with shelves that are well merchandised and look good. Shelves that are shopped down are not inviting and create a bad impression of the store (disorganized). Nobody really wants to shop these shelves. Shoppers spend only 3.5 Minutes in a C-Store. They want to find what they are looking for quickly and efficiently. Shopper research reveals that a shopper who finds the first item within 10 seconds, spends the same amount of time in the category and purchases 50% more. FACT: Efficient merchandising increases sales. Where would you rather buy? FlexRoller is now the premium shelf-management and merchandising system for beverages around the world, favored by leading C-Store and Grocery chains. 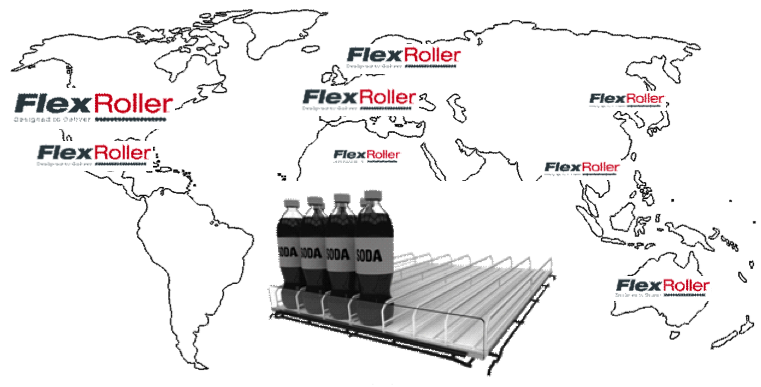 FlexRoller is now installed in stores from Norway to Italy, New York to Los Angeles, Thailand to China and recently, in Africa and the Middle East. As shoppers, we frequently encounter basic out of stocks, messy and disorganized shelves. By focusing on high-tech applications retailers are overlooking the most important real estate in their stores, the SHELF. Bruegmann USA can assist and has the solution to “automate” retailer shelves – the FlexRoller shelf management system ! Shopping made easy by consistently front-facing all shelves. FlexRoller front-faces multiple-sized products on the same shelf presenting all products for easy shopping ! Touch it – Buy it ! Make sure your private label brand stands out on the shelf! You, the retailer, are bringing innovation to your store brand packaging. 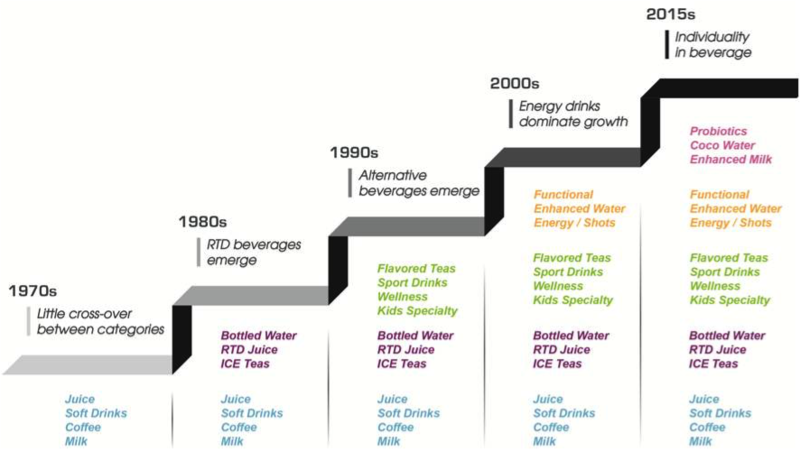 Beverage packaging conveys the quality of the product inside! Ensure your products are presented in the best way possible by continuously and reliable fronting with FlexRoller! FlexRoller helps translate a seamless digital shopping experience into a convenient and efficient in-store experience! Customers who are fought hard over on the Internet will not find the seamless experience they saw online but disorganized shelves, un-fronted products and weak signage and guidance systems. Provide the best in-store experience with the best equipment. Customers expect clean, modern store that are easy to navigate and shelves to be stocked, neat, and organized so they can quickly find what they are looking for…like they can online. The most efficient way to provide the best in-store experience is to simply automate as many processes as possible. Automation isn’t just a self-service kiosk, rather, it is also merchandising solutions such as rollers, pushers, and others that automatically front a shelf. By automating all the minute tasks that store employees currently perform, you free your associates to devote more time in providing the best customer service experience. These investments are mainly driven by the desire to let staff focus on tasks that will bring added value to the business. FlexRoller helps retailers shift labor from mundane fronting and stocking tasks to high value, more productive customer service tasks. 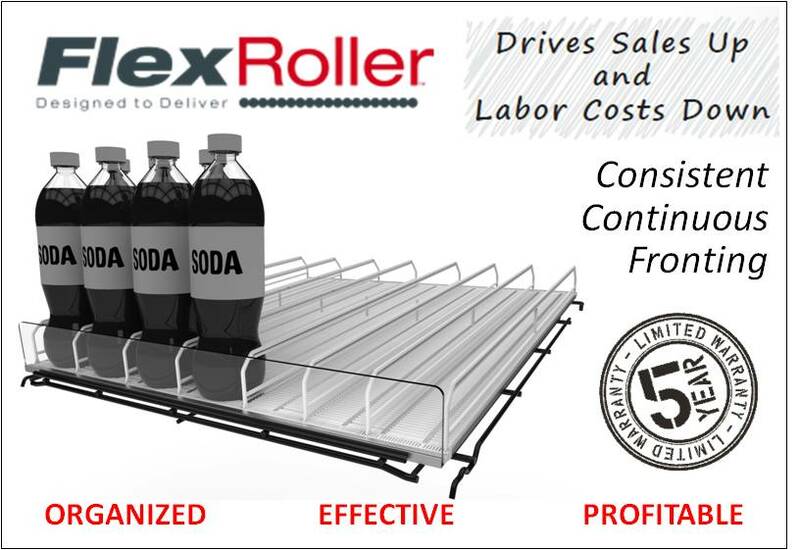 FlexRoller ensures consistently and continuously fronted products eliminating the need for fronting and reducing re-stocking labor. This allows staff to focus on more productive, customer oriented tasks. 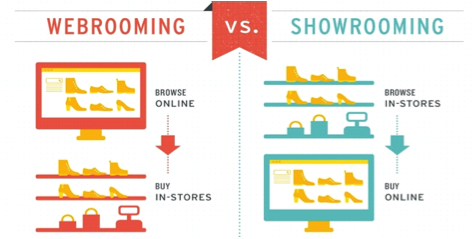 FlexRoller helps retailers and brands to capitalize on all these trends. FlexRoller ensures that consistently and continuously fronted products are always visible and ready to be purchased. New products that have only one or two facings are always fronted ensuring the best chance of being seen by shoppers. Visibility is the first requirement for engagement that leads to a purchase. Planogram resets are becoming more frequent. FlexRoller shelves and dividers allow full planogram reset flexibility. Labor savings, sales increases and shopper benefits drive chain-wide implementation of FlexRoller in Central American C-stores.. 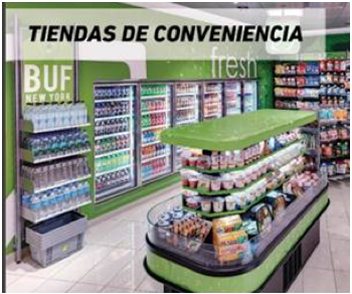 Convenience stores in Mexico are one of the fastest growing channels with high customer turnover. To keep the cold vault fronted and well organized at all times requires a lot of in-store labor time. 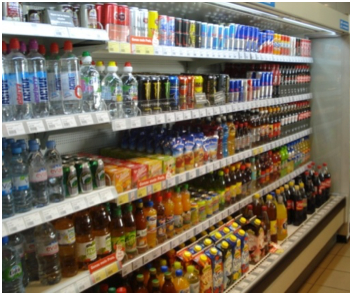 FlexRoller FlexRoller has proven to be the optimal shelf fronting system as decided by this C-store chain. Easy to implement and maintain. Chain-wide acceptance and roll-out – especially new store locations. FlexRoller has been rolled out to several thousand stores in Central America since 1998. About 1000 per year. 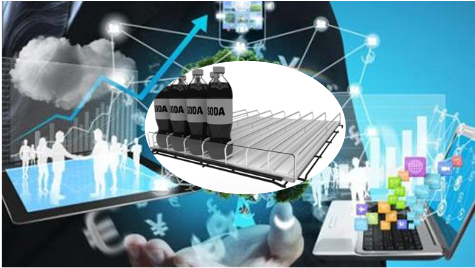 FlexRoller is the optimum shelf management system to organize any category, provide the necessary flexibility to change planograms frequently as new products are launched and demanded by consumers. FlexRoller will keep all lanes fronted and easily shoppable. FlexRoller is the most versatile, most durable and highest performing shelf management system. Limited space in the cold vault is the main issue that C-Store retailers face continuously ! Give new products a fair chance in the cold vault! FlexRoller changes that imbalance between established and new products giving Innovation a chance. FlexRoller ensures that consistently and continuously fronted products are always visible and ready to be purchased. Even new products that have only one or two facings are always fronted ensuring best chance of being seen by shoppers. Visibility is the first requirement for engagement that leads to a purchase. Especially for new products that are not yet on shoppers minds.